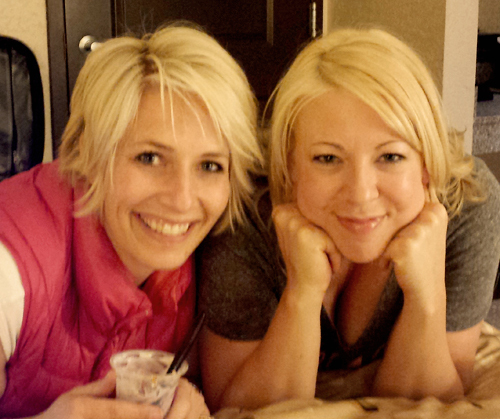 Heidi Swapp & Sarah Bargo! Woo hoo! Heidi was teaching classes in a town not far from me and Sarah lives near me, too (jealous???) so we were all able to hang for a couple of days! Mixed media is not something I'm proficient at...in fact, it's something I'm not even all that decent with. BUT I am practicing...and I am learning...and I am trying and I am playing...and I'm having a BALL! 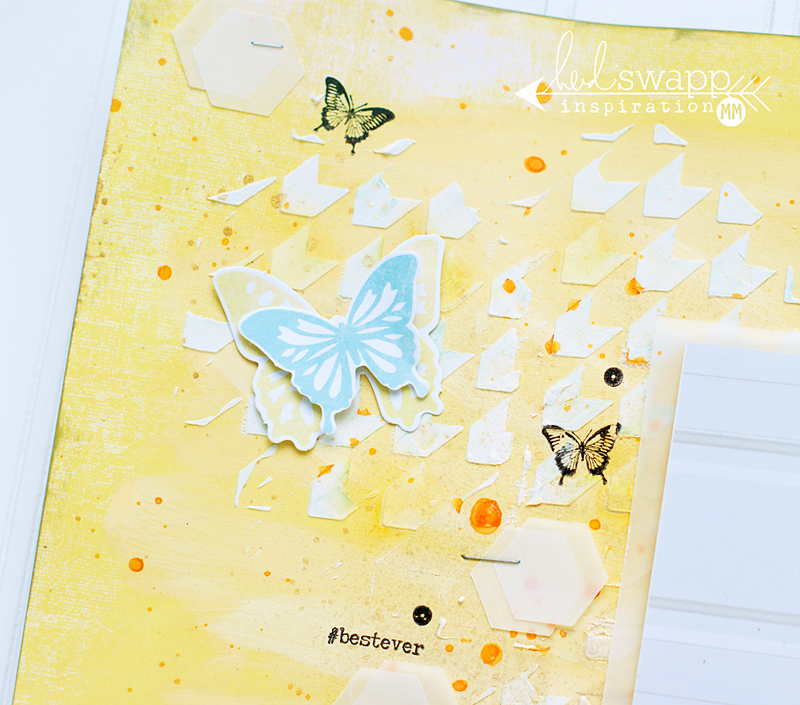 For this layout I stuck with mainly the new Dreamy Collection & Mini-Stencils (available at your local scrapbook store and online). I also included a few stamps from the Hello Today Collection (at Michaels), as well as some Color Shine & vellum. To start, I cut a strip of the yellow houndstooth print side of a sheet of Pink Dream. I adhered this to a sheet of Choose Happy paper and stitched down the inside edge. Next I combined some white acrylic paint with some Mustard Color Shine and spread a thin layer over my paper. Using the houndstooth mini-stencil, I applied some Modeling Paste in a few areas over my background and allowed it to dry. 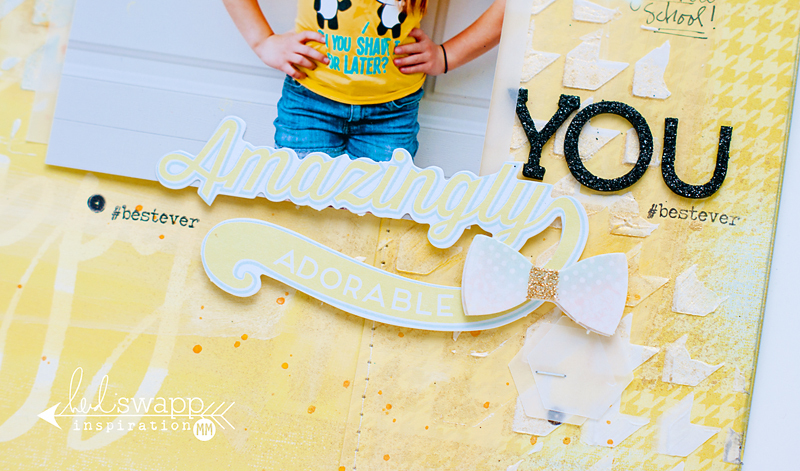 A few sprinkles of Mustard Color Shine and a little yellow stamp ink rubbed on a few of the paste "houndsteeth" - (it's a new word) and I was ready for my photo and embellishments. Just a few key pieces here and there (as well as some stapled vellum shapes!) was really all this page needed. Love this page, you make it sound so easy I will have to give it a try.